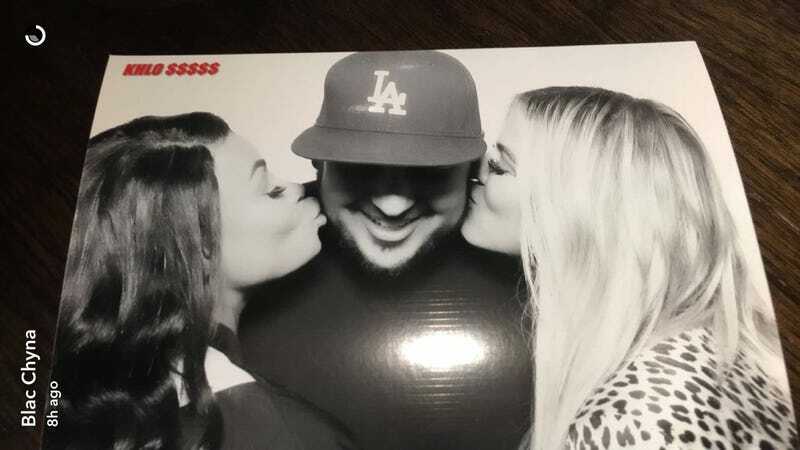 Though this week’s episode of KUWTK documented just how furious Rob’s sisters and mother were after learning about his engagement to Blac Chyna, the Kardashians would like you to know things are all good. No, scratch that. They’re astounding. Did the Kardashians Learn About Rob and Blac Chyna&apos;s Pregnancy Before or After Their Engagement? On Monday night, everyone who’s anyone went to Dave & Buster’s, the party spot for celebrities and you, to celebrate Khloe Kardashian’s 32nd birthday. Chrissy Teigen and John Legend were there. Two famous-seeming people I didn’t recognize were there. Some Dave & Buster’s employees were there. Oh, and expecting parents Blac Chyna and Robert Kardashian! But you know who wasn’t on the guest list? Martha Stewart’s new friend, Jonathan Cheban. While the rest of the Kardashians were Snapchatting photos from Khloe’s birthday photo booth and playing air hockey, Cheban was in France (I think) doing what he does best: taking disgusting photos of expensive food.